A Day at the Met. 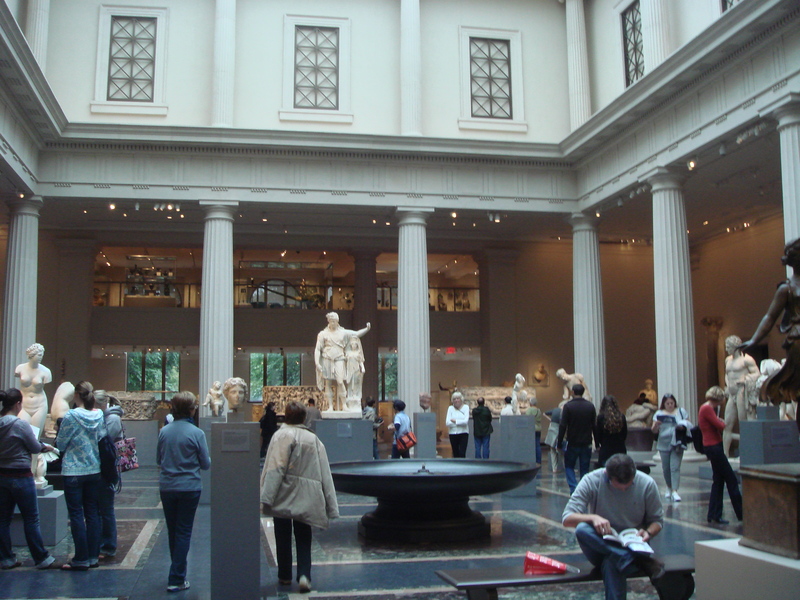 Just to the east of Central Park’s great lawn lies the mighty Metropolitan Museum of Art. 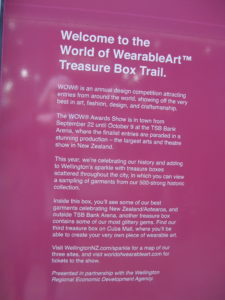 One of the largest and richest treasure houses on earth, it runs for four full city blocks, from East 80th, to East 84th Street and houses some of the world’s most prized booty. Outside, the Met is a classical colossus of grey stone slabs, thick Doric pillars, tall veiled windows, heavy fascias and wide sweeping stairs. Inside, it’s a labyrinth of cavernous halls, long corridors, endless galleries – great and small, shadowy or blindingly bright – and more sweeping stairs. It was a damp, grey autumn day when I followed the lengthy queue through the Met’s revolving door, past security and up to the ticket office, where I paid my entrance fee and received a tiny metal badge, painted with a bold white M and colour coded (purple) for the day (Friday). It was wonderful weather for art galleries. Thousands of others obviously thought so too and my heart sank as I shuffled shoulder to shoulder with hundreds of them towards Greek Antiquities. However, so vast is the Met, that I was easily able to find a free bench beside an armless marble deity, then to wander uncrowded among her stone brothers and sisters, through the ruins and spoils of their palaces and temples. I spent undisturbed hours mesmerized by the Modiglianis and other modern greats. I ambled through galleries, discovering American painters like Edward Hopper. I lost myself in rooms full of furniture and furnishings, including stained glass by Tiffany whom I knew only from his famous lamps. I wandered stunned and dumbfounded, among the magnificent Lehmann collection but couldn’t help speculating on how far it would have gone towards pulling the company he founded out of the economic abyss into which it had crashed in 2008. Unfortunately, too, so vast is the Met that it is impossible to see all of its treasures in one visit, or even, I suspect in a hundred. I missed dozens of rooms and collections along with all the special exhibitions. I didn’t have time to queue for the fabulous ground floor restaurant overlooking Central Park. After a short break in the mezzanine café (perfect for people watching) and a cursory browse in the Met shop (brimming with great books, posters, toys and souvenirs) my day had gone. 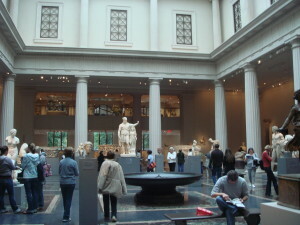 But I’ll go back to the Met, again and again and again if I get the chance! In 1996 an IRA bomb hit the area of Manchester around the old Print Works and Arngate. Fortunately, although 300 hundred people were injured, there were no fatalities and happily, the destruction was limited, in the main, to a car park. 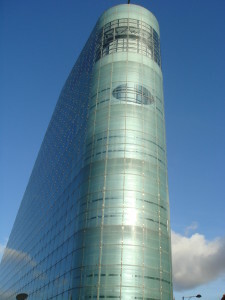 As it rebuilt in the aftermath of the bombing, Manchester became an international model of city centre development, with innovative buildings, malls, monuments, and spaces. But the star of this showpiece of urban development must surely be Urbis, Manchester’s state of the art exhibition centre. 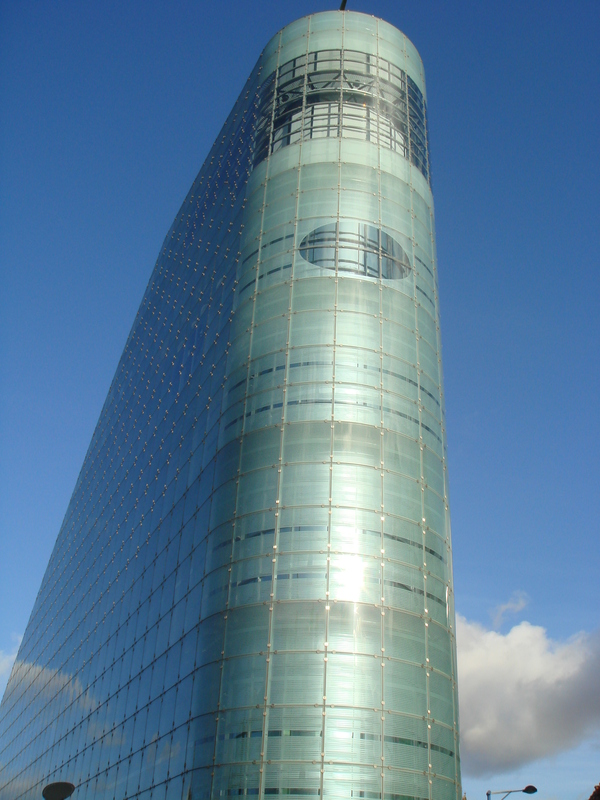 Urbis, which is Latin for of the city, was the result of a design competition. The winner was local architect Ian Simpson. Urbis shares one edge of a triangular garden space with Chetham’s Music School and the old Corn Exchange, which now houses the trendy Triangle Shopping Complex. It is a tall cylindrical concrete building coated in 200,000 panels of glass with emerald lights at their centre. There is a 3 foot insulation clearance between the concrete of the building and its glass exterior. At one end an external spire stretches like a bird towards the old city, while below it, the inside is like the prow of a ship. The core focus at Urbis is Manchester – what makes up this fantastic city and how its citizens and visitors interact with it. 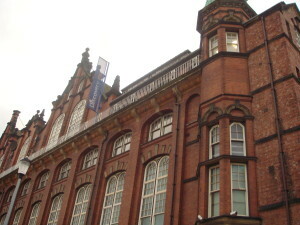 The local television station, Channel M is housed here, promoting performers, producing shows and broadcasting uniquely Manchester events. Urbis is a centre for workshops and tours, like the City Sights Regeneration Tour, exploring Manchester after the bomb, the Faith Tour, exploring city churches, or the Behind the Scenes at Urbis Tour, which looks at the history, the architecture and the organization of Urbis. The Urbis foyer is marketplace for local artists and craftspeople as well as an information centre on city life and history. Its shop offers a great range of books on Manchester and its people as well calendars, posters, prints, crafts and souvenirs of the city and the region. Urbis café is a meeting place, a place for Mancunians and visitors to socialize. Urbis’ three floors of show space house exhibitions about city life. Urbis is a fascinating place to visit, not just as an introduction to the city of Manchester, or as an exploration of its story, or of its latest productions but for its own sake as a unique example of architecture and as a unique centre of city life and art. The Laing Art Gallery sits on the edge of Newcastle’s famed and beautiful Blue Carpet, the open city square laid with a unique pattern of blue tiles (hence the name!) The Blue Carpet draws the buildings which surround it together, unifying both the old and the new, to create an intimate space for relaxing or on occasion, for performance. The Laing recently claimed the prestigious ‘Large Visitor Attraction of the Year’ prize at the North East England Tourism Awards. It has a superb permanent collection, including works by Henry Moore and paintings by the pre-Raphaelite Brotherhood group. The works of local artists, like wood engraver Thomas Berwick, the painters of the Newcastle School of Art, founded in 1843 and more recent artists like Oliver Kilbourn, are a glimpse into the creative, as well as the social history of the city. At the other end of town, The Discovery Centre sits at the intersection of two busy main roads. It is a large, imposing brick building which looks very much like some grim relic of an early nineteenth century educational institution. Inside, one exhibition tells the story of the shipping industry and the Tyne which was and still is the life blood of the region. Another traces the history of Newcastle from the Romans to the present day. The “Working Lives” exhibition outlines the “hard graft and ingenuity” that is the story of the Newcastle worker. Finally, DVDs in a little video corner introduces some famous Newcastle inventors like George and Robert Stephenson, of the locomotive fame, Joseph Swan who invented the filament light bulb in 1978, Gladstone Adams, the father of windscreen wipers, Arthur George, the author of the Joystick and a clutch of 21st century corporations like DUK responsible for Biometrics fingerprinting, Global Point Technologies who introduced satellite tracking and Peratech of the Touch Smell Robot. 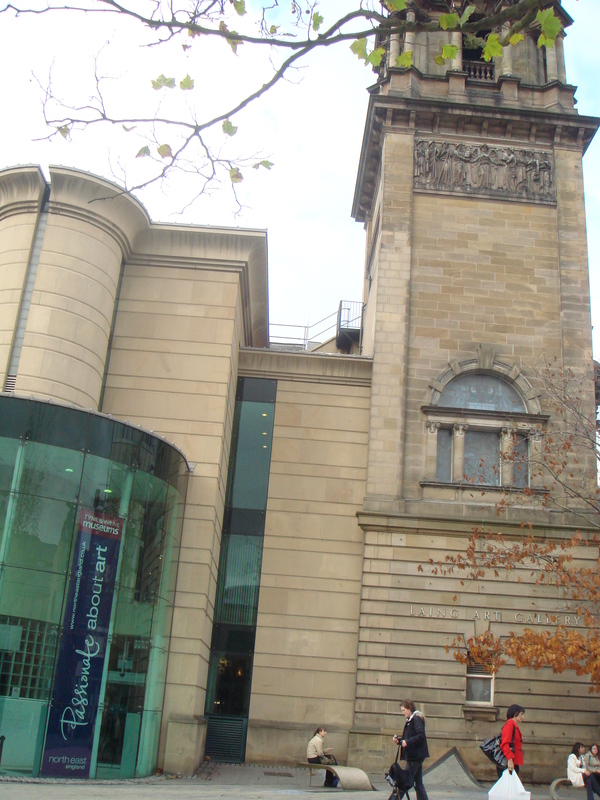 While an afternoon browse through a gallery and a museum can only really give a summary of a place and its history, the Laing and the Discovery Centre sum up Newcastle, its history and its people most impressively. High on the hills overlooking downtown Rio sits Santa Teresa, one of Rio’s oldest, prettiest and most fascinating neighbourhoods. It takes its name from the Convent established here by Portuguese nuns in the 18th century. 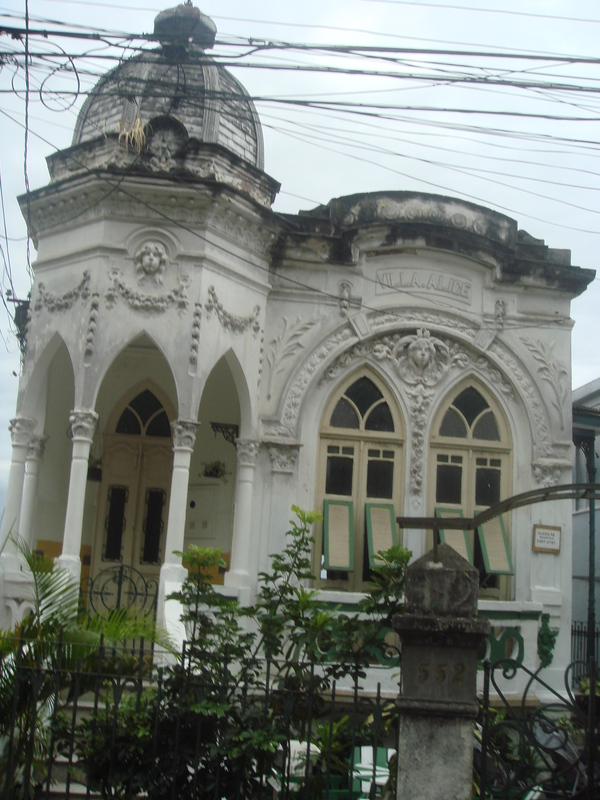 In the 19th century influential colonials settled in Santa Teresa and built the grand mansions and the turreted castle which give the area its distinctive architectural character. In the 20th century, when the wealthy abandoned the hills for chic new beachside suburbs, it became “the Montmartre of Rio” an enclave for artists, patrons of the arts and the Bohemian set. Santa Teresa is still “the Montmartre of Rio”, home to a thriving artists’ colony. One of the city’s big cultural events is Arte de Portas Aberdas (Art with open doors) festival in July, when the artists of Santa Teresa open their doors to the public. However, on weekends throughout the year, many studios and workshops welcome visitors and art works are on display on the sidewalks and in garages. One of Rio’s most interesting art museums, the Museu Chacara do Ceu is located in Santa Teresa. Set in a beautiful garden created by the great Brazilian landscape architect Burle Marx, it houses the Raymundo Castro Maya collection which includes works by native sons like the brilliant Candido Portinari. 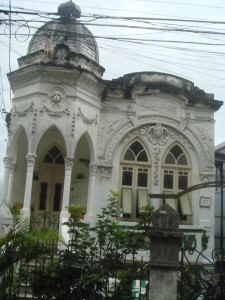 The Parque das Ruinas, erstwhile home of Laurinda Santos Lobo, an early patron of Brazilian arts, is Santa Teresa hallowed soil. Little of the house remains but regular concerts and art exhibitions are held in the grounds which have sensational views of the city. As one would expect from an area so steeped in creativity, Santa Teresa has a wealth of unusual shops crammed with quaint and irresistible treasures. Colorful, exotic and enticing, they beckon from every curve of the cobblestone streets; places like Atelie Ze Andrade which sells exquisite china dolls (some in the image of celebrities!) or La Vereda which sells amazing furniture, light fittings and ornaments. Naturally bars and cafes abound in the Montmartre of Rio. The best, from a tourist point of view, have their own particular twist but offer a singularly Brazilian experience, like Bar do Mineiro which lays claim to some of the city’s best caipirinhas and Simplesmente which hosts evening samba jam sessions from Monday to Saturday. The same goes for restaurants and Espirito Santa serves up some of Rio’s best traditional Brazilian cuisine all in its own divine way. Quaint and old world lends itself to B and Bs, Backpackers and boutique hotels and behind the facades of many of Santa Teresa’s lovely old homes are bunkrooms, communal kitchens, tarted-up guest rooms and tiny ensuite bathrooms. But contemporary, luxury hostelry, too, is represented on the hill and the Hotel Santa Teresa, Rio 80 and Relais Solar are some of Rio’s latest and finest. But the stand out among all of Santa Teresa’s attractions is the journey up there on the rattling open sided bondinho or little tram. The queues at the station down in Rua Lelio Gama, just off the Praca Carioca are long but it’s worth the wait. The bondinho trundles off past cone-shaped ultra-modern Saint Sebastian Cathedral and rattles across the magnificent old stone arches which span the district of Lapa, one of Rio’s liveliest nightspots. The arches were built originally in 1732 as the Carioca Aqueduct which carried water from the Carioca River to the city. The bondinho groans up an almost perpendicular hillside, through a cutting and into Santa Teresa’s main street. Here, the tourists begin drop off and local lads latch on, clinging to the window ledges with barely a toe-hold on the steps, along just for the thrill of the ride. Nobody seems to mind. The little tram winds along, through the village and around the hills. 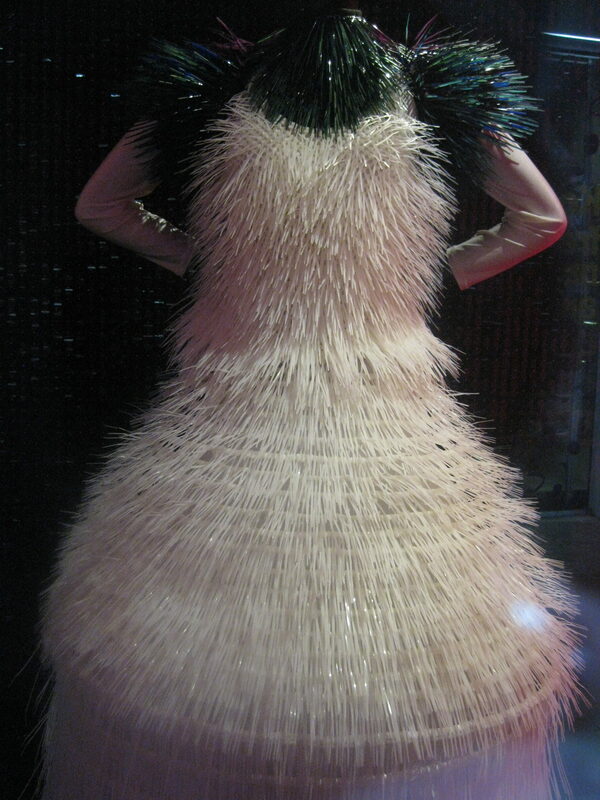 More people peel off and others attach themselves to the sides. The tramline ends outside a church in a small piazza, on a hillside on the far edge of Santa Teresa, looking down on the city. The bondinho rests for five minutes. The few remaining tourists mill about while the locals stride off down the narrow lanes. Then the bondinho sounds a tinny bell, the tourists take their seats, the lads take the steps, more passengers stroll up and the journey back begins. A seat on the bondinho costs about 50 cent, one way. Standing on the steps is free. The experience is priceless. The vista from the windows of the Tate Modern is so spectacular it’s easy to get distracted from its galleries full of awe-inspiring art. 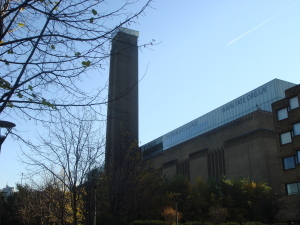 Originally the home to the Bankside Power Station, the building was converted by the Swiss architects Herzog and de Meuron and opened in 2000 as the Tate Modern Art Gallery. Set back from the Thames, behind a wide piazza and a plantation of trees, the massive, powerful brick structure, with its towering “lighthouse” chimney, dominates the riverbank and the skyline. The Millenium Bridge leads away from the piazza across the river to link it to the other side. Long windows, spaced along the building’s upper levels give real life, stunning pictures of Bankside, the Thames, St Pauls and the glass towers of the city. 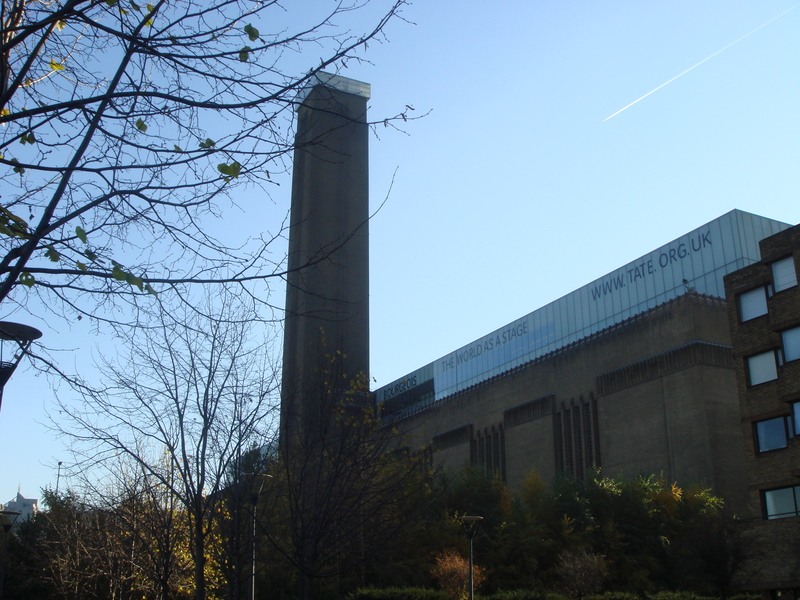 The Tate Modern’s collection is organised under three headings – Material Gestures, poetry and Dream, Idea and Object and States of Flux – very useful for the layperson in tackling the enigma of modern art. It covers such movements as Abstractionism, Expressionism, Abstract Expressionism, Minimalism, Conceptual Art, Constructivism, Cubism, Futurism and Pop Art. 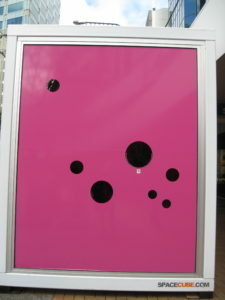 It includes the work of artists like Monet, Rothko, Carl Andie, Dan Flavin, Jenny Holzer, Picasso and Andy Warhol. The Tate is famed for its cutting edge and often controversial exhibits, like the giant Louise Bourgois spider which crouched menacingly in the courtyard when I first visited and Doris Salcedo’s sculpture, Shobboleth 2007, a giant crack which snaked threateningly across the floor of the cavernous basement Turbine Gallery, ready to swallow the unwitting and the unwary. It’s worth taking time at the Tate, just to drink it all in; the brilliant views, the incredible collections and the amazing architecture itself. There are also two great bookshops to browse and a very nice café for coffee breaks. 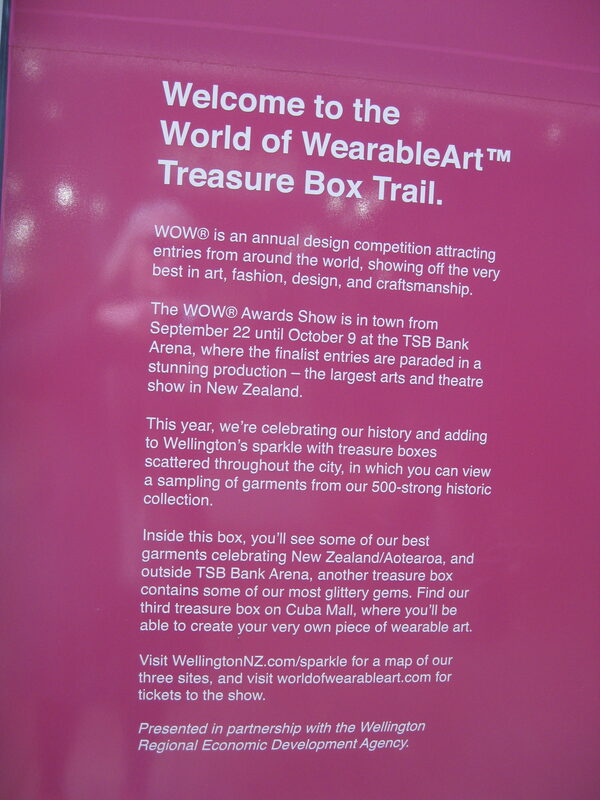 Entry to most exhibitions at the Tate is free.